Dr Jessica Weir is a Senior Research Fellow at the Institute for Culture and Society. Her research is part of the critical intellectual work of the Environmental Humanities to resituate humans within their environments, and more-than-humans within cultural and ethical domains, as part of responding to ecological devastation and climate change. Her book Murray River country (Aboriginal Studies Press, 2009) is internationally recognised as outstanding scholarship in this field. Jessica's research collaborations with Indigenous people examine how Western binaries and Indigenous knowledges interact to circumscribe and transform our understandings of environmental issues and their governance. Jessica has extended her research to consider our relationships with natural hazards, particularly how diverse knowledge practices are used in risk mitigation policy and practice. This research is being conducted in partnership with the emergency management sector, and is funded by the Bushfire and Natural Hazards Cooperative Research Centre (BNHCRC). 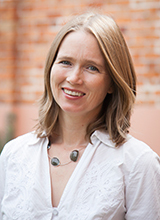 Jessica undertook her PhD at The Australian National University (ANU), and has held positions as Research Fellow at the Australian Institute for Aboriginal and Torres Strait Islander Studies (AIATSIS), and Senior Research Fellow at the University of Canberra. Jessica is an editorial board member of the new Routledge Environmental Humanities Book Series, and a Visiting Fellow at the Fenner School of Environment and Society, ANU. Strelein, LM, Bauman, T and Weir, JK (eds) 2013, Living with native title: the experiences of registered native title corporations (opens in a new window), AIATSIS Research Publications, Canberra. Weir, JK (ed.) 2012, Country, native title and ecology, ANU Epress, Canberra. Weir, JK 2009, Murray River country: an ecological dialogue with traditional owners, Aboriginal Studies Press, Canberra. Weir, JK 2009, The Gunditjmara Land Justice Story, Native Title Research Monograph 1/2009, AIATSIS, Canberra, pp. 1-40. Weir, JK 2016, 'Hope and farce: Indigenous peoples' water reforms during the Millennium Drought', in E Vincent & T Neale (eds), Unstable relations: Indigenous people and environmentalism in contemporary Australia (opens in a new window), UWA Publishing, Perth, pp. 122-67. Weir, JK 2015, 'Lives in connection', in K Gibson, DB Rose & R Fincher (eds), Manifesto for living in the Anthropocene (opens in a new window), Punctum Books, New York, pp.17-21. Tran, T, Weir, JK, Strelein, LM & Stacey, C 2014 'Indigenous governance and climate change adaptation: two native title case studies from Australia' in JP Palutikof, SL Boulter, J Barnett & D Rissik (eds), Applied studies in climate adaptation, Wiley, Oxford, pp. 307-315. Strelein, LM, Bauman, T & Weir, JK 2013, 'Navigating complexity: living with native title', in LM Strelein, T Bauman JK Weir (eds), Living with native title: the experiences of registered native title corporations (opens in a new window), AIATSIS Research Publications, Canberra, pp. 1-27. Weir, JK 2013, 'Karajarri: native title and governance in the West Kimberley', in LM Strelein, T Bauman JK Weir (eds), Living with native title: the experiences of registered native title corporations (opens in a new window), AIATSIS Research Publications, Canberra, pp. 147-75. Weir, JK 2012, 'Country, native title and ecology', in JK Weir (ed. ), Country, native title and ecology, ANU Epress, Canberra, pp. 1-19. Weir, JK, Stone, R & Mulardy, M 2012, 'Water planning and native title: a Karajarri and government engagement in the West Kimberley', in JK Weir (ed. ), Country, native title and ecology, ANU Epress, Canberra, pp. 81-103. Weir, JK 2011, 'How to keep the river flowing', S Pincock (ed. ), Best Australian science writing, NewSouth, Sydney, pp. 93-97. Weir, JK 2011, 'Water planning and dispossession', in D Connell & RQ Grafton, Basin futures: water reform in the Murray-Darling Basin, ANU Epress, Canberra, pp. 179-91. Strelein, L & Weir, JK 2009, 'Conservation and human rights in the context of native title in Australia', in J Campese, T Sunderland, T Greiber & G Oviedo (eds), Exploring issues and opportunities in rights based approaches to conservation, CIFOR, IUCN and CEESP, Bogor, pp. 123-40. Weir, JK & Ross, S 2007, 'Beyond native title: Murray Lower Darling Rivers Indigenous nations', in F Morphy & B Smith (eds), The social effects of native title: recognition, translation, coexistence, CAEPR Research Monograph No.27, ANU Epress, Canberra, pp. 185-201. Weir, JK 2007, 'The traditional owner experience along the Murray River', in E Potter, S Mackenzie, A Mackinnon & J Mackay (eds), Fresh water: new perspectives on water in Australia, Melbourne University Press, Melbourne, pp. 44-58. Morgan, M, Strelein, L & Weir, JK 2006, 'Authority, knowledge and values: Indigenous nations engagement in the management of natural resources in the Murray-Darling Basin', in M Langton, O Mazel, L Palmer, K Shain & M Tehan (eds), Settling with Indigenous peoples, The Federation Press, Sydney, pp. 135-57. Thomassin, A, Neale, T & Weir, JK 2018, 'The natural hazard sector's engagement with Indigenous peoples: a critical review of CANZUS countries' (opens in a new window), Geographical Research, DOI: 10.1111/1745-5871.12314. Weir, JK & Duff, N 2017, 'Who is looking after country? Interpreting and attributing land management responsibilities on native title lands' (opens in a new window), Australian Journal of Public Administration, vol. 76, no. 4, pp. 426-442. Neale, T, Weir, JK & Dovers, S 2016, 'Science in motion: integrating scientific knowledge into bushfire risk mitigation in southwest Victoria' (opens in a new window), Australian Journal of Emergency Management, vol. 31, no. 2, pp. 13-17. Neale, T & Weir, J 2015, 'Navigating scientific uncertainty in wildfire and flood risk mitigation: a qualitative review' (opens in a new window), International Journal of Disaster Risk Reduction, vol. 13, pp. 255–265. McLennan, B, Weir, JK, Eburn, M, Handmer, J, Dovers, S, & Norman, BJ 2014, 'Negotiating risk and responsibility through law, policy and planning' (opens in a new window), Australian Journal of Emergency Management, vol. 29, no. 3, pp. 22-28. Weir, JK, Crew, DRJ & Crew, JL 2013, 'Wetland forest culture: Indigenous activity for management change in the Southern Riverina, New South Wales' (opens in a new window), Australasian Journal of Environmental Management, vol. 20, no. 3, pp. 193-207. Weir, JK 2010, 'Cultural flows in Murray River Country', Australian Humanities Review, no. 48, pp. 131-42. Weir, JK 2008, 'Connectivity', Australian Humanities Review, no. 45, pp. 153-64. Weir, JK 2007, 'Native title and governance: the emerging corporate sector prescribed for native title holders', Land, Rights, Laws: Issues of Native Title, vol. 3, no. 9, pp. 1-16. Morgan, M, Strelein, L & Weir, JK 2004, 'Indigenous nations of the Murray Darling Basin', Indigenous Law Bulletin, vol. 5, no. 29, pp. 17-20. Strelein, L, Dodson, M & Weir, JK 2001, 'Understanding non-discrimination: native title law and policy in a human rights context', Balayi: Culture, Law and Colonialism, vol. 3, pp. 113-48. Weir, JK 2000, 'Aboriginal land ownership and joint management of national parks in NSW', Indigenous Law Bulletin, vol. 5, no. 3, pp. 20-22. Weir, JK 1998, 'Is resettlement resettlement? ', Watershed: people's forum on ecology, Terra, Bangkok. Weir, JK & Freeman, DH 2019, Fire in the south: a cross-continental exchange (opens in a new window), Bushfire and Natural Hazards CRC Research Report, Melbourne, Australia. Smith, W, Weir, JK & Neale, T 2018, Southeast Australia Aboriginal fire forum: an independent research report (opens in a new window), Bushfire and Natural Hazards CRC Research Report, Melbourne, Australia. Norman B, Weir JK, Sullivan K & Lavis J 2014, Planning and bushfire risk in a changing climate (opens in a new window), Bushfire and Natural Hazards CRC, Melbourne, Australia. Tran, T, Strelein, L, Weir, JK, Stacey, C & Dwyer, A 2013, Changes to country and culture, changes to climate: strengthening institutions for Indigenous resilience and adaptation: final report, National Climate Change Adaptation Research Facility; Department of Climate Change and Energy Efficiency, Australian Government. Duff, N & Weir, JK 2013, Weeds and native title: law and assumption, Australian Institute of Aboriginal and Torres Strait Islander Studies (AIATSIS). Weir, JK, Ross, S, Crew, D & Crew, J 2013, Cultural water and the Edward/Kolety and Wakool River system, Yarkuwa Indigenous Knowledge Centre Aboriginal Corporation (Yarkuwa); Aboriginal and Torres Strait Islander Studies (AIATSIS). Weir, JK, Stacey, C & Youngetob, K 2011, The benefits associated with caring for country: literature review, Department of Sustainability, Environment, Water, Population and Communities, Australia. Weir, JK, 2009, Our understandings of water and how they translate into our decision making, Land and Water Australia; Australian Institute of Aboriginal and Torres Strait Islander Studies (AIATSIS). Weir, JK & Duff, N with the Kimberley Land Council 2015, 'Weeds and native title in the Kimberley', in E Ens, J Fisher & O Costello (eds), Indigenous people and invasive species: perceptions, management, challenges and uses (opens in a new window), IUCN Commission on Ecosystem Management Community Report, pp.21-22. Weir, JK 2009, 'We need rain', film screened at Violent ends: the arts of environmental anxiety, National Museum of Australia, Sydney. Jessica Weir presents 'Life on the inside of Country' at University of California, Berkeley (double click for full screen).